Cars are only as fun as the roads they are driven on. We love our cars, and we all enjoy our rides in our own different way. However what every petrolhead and gearhead knows is that we enjoy our cars the most when we are driving them. This is especially true when the roads are smooth and you are traversing long distances through epic landscapes & scenery. And these drives out become something else. They take us back to our natural human instinct of exploration, and discovering the new. This is where The Black Run comes in. So what is the Black Run? 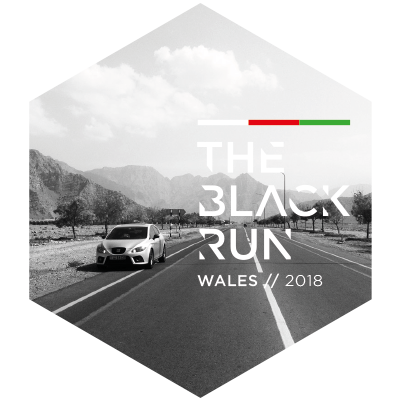 The Black Run is an informal driving tour across some awesome roads, so you can enjoy your car for what they were designed for. Our routes are designed to maximise driving pleasure, that have been test run by ourselves to ensure the best possible experience for you, the driver. You bring your own car, we provide the hotels, the routes in both digital and printed formats, and a lead car - which you may or may not follow at your own leisure. Awesome roads, amazing landscapes, cool hotels, & maximum driving pleasure. What does the Black Run include? *Lead car is there for a guide only, it is upto each individual driver to decide whether to follow or go at your own pace, or overtake. **We try to avoid printing for environmental reasons, the printed guide will be provided on request only. Why book a tour with the Black Run? Because we love driving, we love travel & adventure, and last but not least - we love cars. Our prime focus on the Black Run is to remove the hassle of working out the best route, and what hotels to stay in. We want to take you across awesome roads and amazing landscapes, without you having to worry about the details. What makes us different is we only organise the basic essentials - but ensure the tour naturally allows you the chance to encounter interesting stops & destinations.